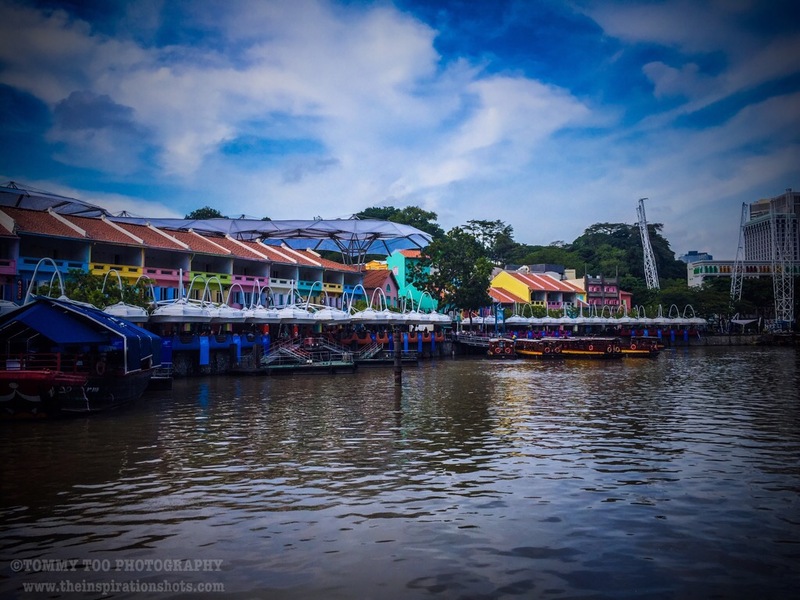 Clarke Quay was named after Sir Andrew Clarke, Singapore’s second Governor and Governor of the Straits Settlements from 1873 to 1875, who played a key role in positioning Singapore as the main port for the Malay states of Perak, Selangor and Sungei Ujong. The Hoklos (Hokkien) refer to Clarke Street as gi hok kong si au, meaning “behind the new Gi Hok Kongsi” (house). The new Gi Hok Kongsi was near Carpenter Street. Another Chinese reference, which only refers to the Southern bank around Read Bridge area, was cha chun tau (柴船头), meaning “jetty for boats carrying firewood”. Small tongkangs carrying firewood from Indonesia berthed at this jetty. The firewood trade was primarily a Teochew enterprise. Clarke Quay Festival Village, the biggest conservation project for the Singapore River, was developed and officially opened on 10 December 1993. In later years, Clarke Quay was managed and owned by CapitalLand. Alsop Architects an International Architecture practice was commissioned to redesign the shophouse facades, streetscapes and riverfront dining areas in two development phases. The newly redeveloped Clarke Quay consistently attracts over 2 million visitors a year and is a major social and tourist component of brand Singapore. Crucial to its success is the ingenious moderation of the micro-climate through the design of sophisticated shading and cooling systems which reduce the ambient temperature by 4 degrees Celsius while enhancing the riverfront and streets with tremendous visual interests. The project won in 2007 Cityscape Architectural Review Award (Tourism, Travel & Transport – Built) and the Cityscape Asia Awards, Best Waterfront Development in 2008. Read Bridge (Chinese: 李德桥) is a beam-structured bridge located at Clarke Quay within the Singapore River Planning Area in Singapore. 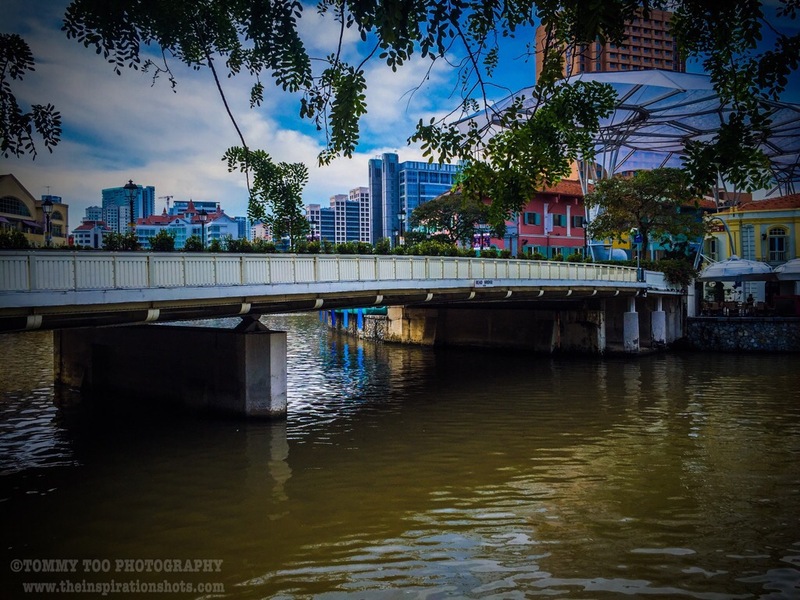 The bridge crosses the Singapore River linking Clarke Quay to Swissôtel Merchant Court. The bridge was built in 1881 and completed in 1889. The bridge is opened to pedestrians and bicycles, and has been modified several times. Read Bridge was named after William Henry Macleod Read, who was a prominent resident in Singapore between 1841 and 1887 and Consul for the Netherlands between 1857 and 1885. The bridge’s construction took place in 1881 and was completed in 1889. The bridge was opened by then governor Clementi Smith in 1889, Read laid the first cylinder in 1887, before he left the colony. The locals called the bridge Malacca Bridge, given its proximity to Kampong Malacca at Merchant Road. The Hokkiens refer the bridge as kam kong ma lah kah kio (Kampong Malacca Bridge). It was also known as Green Bridge because of the colour of the bridge during the period of time. Among students in Singapore this bridge is commonly known as “The Bridge”, as it is a popular meeting and drinking spot during the night. In the past, labourers and tongkang rowers gathered there to listen to Teochew storytellers. The southern side of the bridge was called colloquially cha chun tau, a reference to the boats that carried firewood from Indonesia to the shops that sold them there. Piles of firewood lined the streets in the area. Near the cha chun tau area were two Teochew opera theaters, Ee Hng and Diat Hng. Part of the area around the bridge was locally known as cha chun tau, a jetty for boats carrying firewood. Tongkangs carried firewood will unload their cargo at the bridge. On 3 November 2008, the bridge was selected for conservation as part of the Urban Redevelopment Authority’s expanded conservation programme. 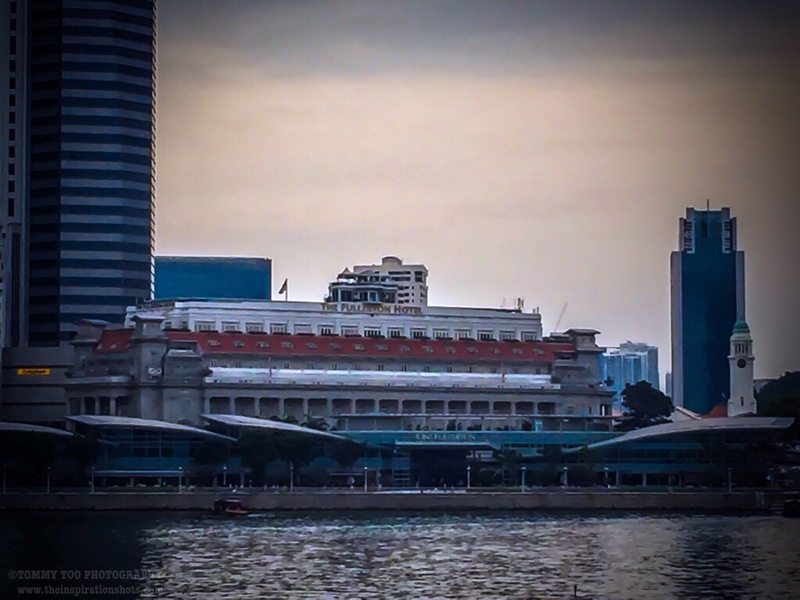 Esplanade – Theatre’s on the Bay, also known as the Esplanade Theatre or simply The Esplanade, is a 60,000 square metres (6.0 ha) performing arts center located in Marina Bay near the mouth of the Singapore River. Named after the nearby Esplanade Park, it consists of a concert hall which seats about 1,800 and a theatre with a capacity of about 2,000 for the performing arts. In 1989, the Advisory Council on Culture and the Arts, chaired by Deputy Prime Minister Ong Teng Cheong, produced a report assessing the status of arts in Singapore. The report would form the blueprint for cultural policy in Singapore, and led to the establishment of the National Arts Council and National Heritage Board. The report noted a lack of suitable performance arts venues; for example, Victoria Theatre was deemed only suitable for small to medium-sized performances, while Victoria Concert Hall was similarly lacking in its seating capacity and stage size. It recommended that a new performing arts centre be built, and in 1992 the Singapore Arts Centre (now known as “Esplanade Co Ltd”) was established to build the Esplanade. The name for the centre was revealed in 1994. It was named after Esplanade due to its significant presence in the Esplanade Park. Planning for the construction of the centre started in 1992, headed by the Singapore Arts Centre Co. Construction officially started on August 11, 1996, with a groundbreaking ceremony officiated by then Deputy Prime Minister Dr. Tony Tan. The Esplanade occupies the site of the former “Satay Club”, a popular food haunt for Singaporeans which had been discontinued prior to the Esplanade’s construction. The “Satay Club” had been relocated next to Sembawang Shopping Center, before closing down. The Esplanade was developed at a cost of about SGD 600 million. It was completed in February 2001, the centre was officially opened on 12 October 2002, by the then President of Singapore S.R. Nathan. The building was designed by two architectural firms working in conjunction: by DP Architects (DPA) of Singapore and the London-based Michael Wilford & Partners (MWP), although the latter left the project in May 1995. The design consists of two rounded space frames fitted with triangulated glass elements and sunshades, which balance outward views with solar shading. The original design, presented to the public in 1994, consisted of unadorned glass cases over the theatres, and initially elicited criticisms from the public, including calling it “two copulating aardvarks”. Critics also accused that the design is insensitive to Singapore’s location and climate as it would have created a greenhouse in the tropical climate of Singapore, but according to DPA director Vikas Gore some form of shading was always intended, and a cladding of aluminium sunshades was added to the final design. The unique architectural design has been said to have an appearance similar to either a durian (a tropical fruit) or the eyes of a fly. Hence, the building is colloquially known to locals as “the big durians”. 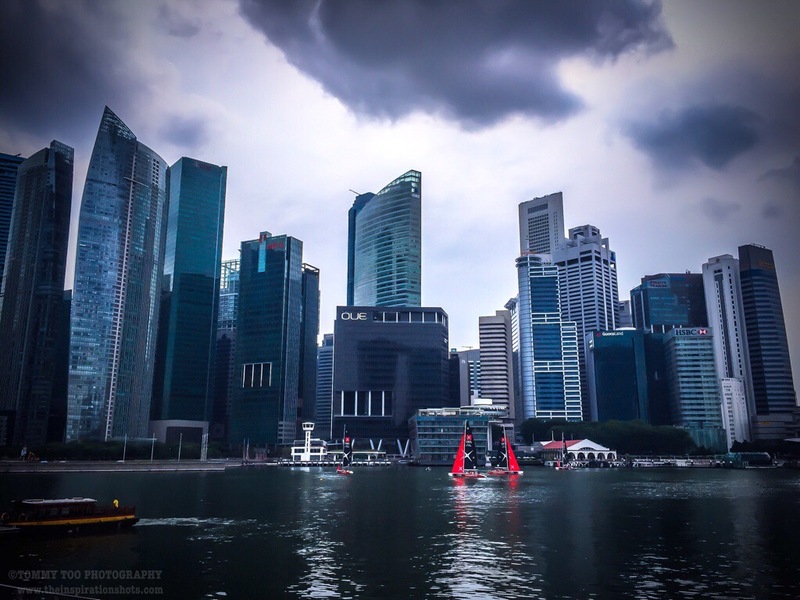 The Downtown Core is the historical and downtown epicenter of the city-state of Singapore. It is one of the eleven planning areas located within the Central Area, which is often colloquially known as “The City”. As the financial heart of Singapore, the Downtown Core houses the headquarters and offices of numerous corporations, as well as the Singapore Exchange. The area is also home to a large number of governmental institutions, notably the seat of Parliament and the Supreme Court of Singapore. 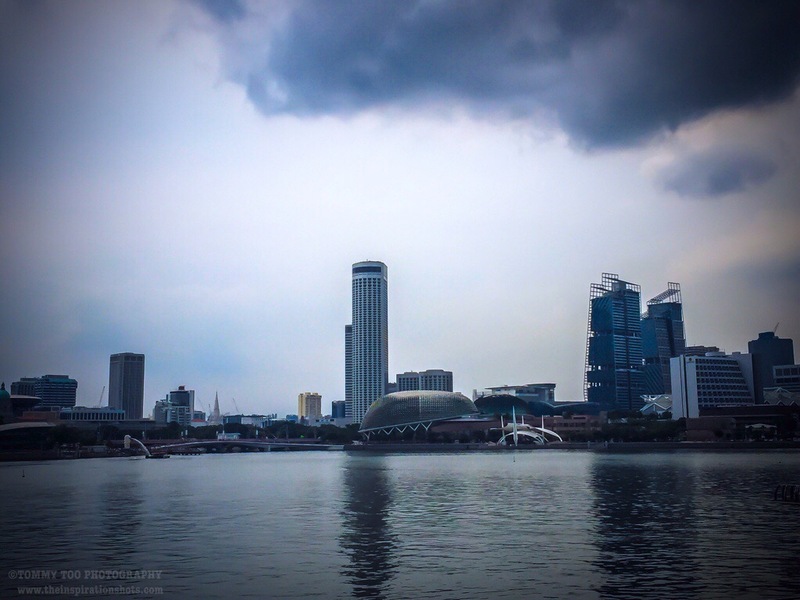 Singapore’s modern history began in this area, when Stamford Raffles and representatives of the British East India Company landed along the banks of the Singapore River to set up a free port in Southeast Asia. As the old harbour grew along the mouth of the river bank, the city naturally expanded around it, creating what is now the Central Area. The name “Downtown Core” remains relatively unheard of and the term Central Business District (CBD) is commonly used in conversation instead. However, the area known as the CBD actually compromises a smaller area within the Downtown Core itself, taking up the south-western and western portions of the planning area. It is made up of seven subzones, Anson, Cecil, Clifford Pier, Maxwell, Phillip, Raffles Place and Tanjong Pagar. The core of the CBD has since extended well beyond its boundaries and the term is even often at times used to refer to the Central Area as a whole. As a fledgling colony, the area which is now known as the Downtown Core was the financial, administrative and commercial centre of the colony. In 1823, Singapore was reorganised according to the Raffles Plan of Singapore by Sir Stamford Raffles, which specified elements like the Commercial Square (now Raffles Place) and the European Town as well as various other commercial and administrative entities located between them. This area later became the Downtown Core.